The Peterlee Pumas had a good day in the Junior section as the under 12s and 14s started thier Playoff campaign to get the North East Grand Finals. Firstly the under 12s took on a Whitley Bay Barbarians side who put in a determined display but the Home Pumas were too strong and eventually ran out 28 20 winners. The the 14s hosted Wallsend in an bad tempered affair with more than one player from both sides having to spend time in the sin bin but were always maintaining comfortable lead playing some excellent well balanced Rugby. Final Score Peterlee 42 Wallsend 14. Both sides now progress to the semi final stages of the Play off series. Excellent turn out in the sun for the littles festival yesterady, well done everyone. 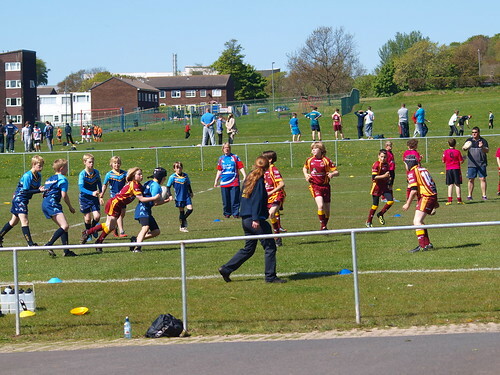 With the Pumas volunteers recruiting more players to the club on a weekly basis the Pumas junior ranks increased at all ages again this week including girls at year 7, 8 and 9 joining the club. The Pumas had a busy week on the field also with the under 14s taking on Catterick Crusaders one of the stronger sides in the North East division a lot of the players put extra sessions in during the week training with the under 15’s squad. The game was incredibly closely contested in the ruck and both teams were playing good rugby however the Peterlee team with home advantage and good supporting crowd were able to convert most of their chances and were simply able to break the line more and convert to points whereas their defence was able to hold up the visitors attack. 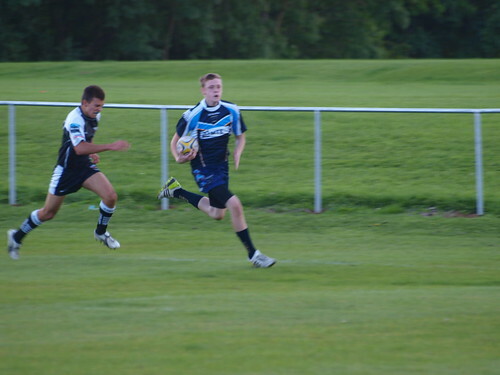 Catterick were able to reply with two consolation tries but Peterlee ran out eventual winners 40 to 8. Man of the Match Connor Drinkwater. 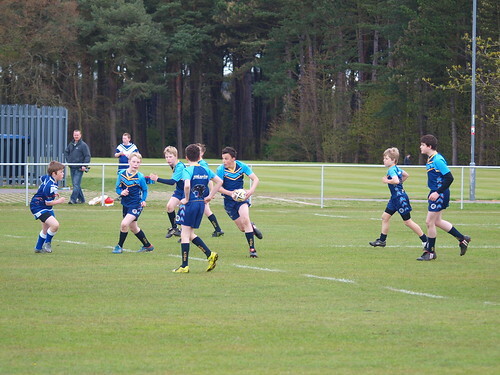 Next the Pumas newly formed under 12s hosted the growing Whitley Bay Barbarians side. Again a sizeable crowd turned to watch the juniors perform and despite conceding an early try to Daniel Henry in the first minute the rest of the game was all Peterlee, Kai Gray 1 Tristan Paddon 3, Joel Lee 2, Matthew Ellwood 1, Benjamin Simpson 1, goals Matthew ellwood 3, William Deeks 2 put the Pumas score up to 48. Whitley Bay put a late rally in in the last 10 with 3 tries , another from Daniel hennery, George Grainger and Brandon brown 1 with a goals Tom Middleton to take their score to 16. Man of the Match Joel Lee for an excellent defensive display. Meanwhile our four U9s were playing in mixed teams with U9s from other clubs. The total of 15 at this age group were split into 3 teams which were rotated, playing short games. Again here the little Pumas did us proud with some great tackling and runs. Well done to all the Junior Pumas! The U11s and U9s were on fire at the festival hosted by Durham Tigers this weekend. Four other teams attending meant the U11s played four games. First off was Rockets with Pumas 9 trys and putting in a great defensive effort letting in only 2 trys for the opposition. Next was the home side and a close game ending in a Pumas win 5-4. Next up was Warriors and again a win for Pumas 4-2. Finally was Whitley Bay Barbarians with Pumas maintaining their performance and winning 7-2. Every single member of the U11s played their socks off and put in everything they had to get a well deserved clean sheet of wins. Man of the festival could have gone to any one of the players but was awarded to Jack Padden for his fantastic tackling and for making some great runs.